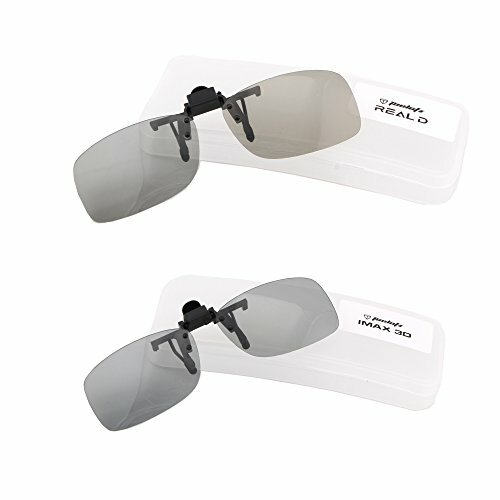 This passive(the non-electronic type of 3D glasses) clip-on polarized 3D glasses is specially designed for myopia spectacle wearers to watch 3D movies easily. The process of linear polarization allows for lower light-loss than the process of circular polarization. Simply put, all things being equal with bulb brightness, screen, and throw distance, IMAX 3D is brighter than circular-polarization 3D systems. The brightness of image for a 3D film is a common complaint and almost all 3D systems suffer from significant light loss compared to 2D projection. This is an important factor for IMAX using Linear Polarized 3D Glasses, as they aim for premium audiovisual presentation. If you have any questions about this product by Tacloft, contact us by completing and submitting the form below. If you are looking for a specif part number, please include it with your message.